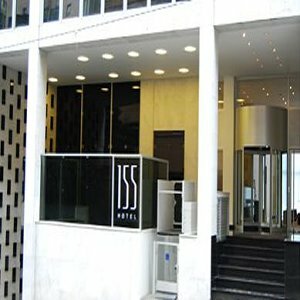 The Hotel 155 is located in the SÃ£o Paulo district of ConsolaÃ§Ã£o, 3 minutes walk from the subway station AnhangabaÃº. This hotel is a low-cost hotel situated in the heart of the city, near to Augusta Avenue, near to Congonhas airport (approximately 10 Km), theatres, cinemas, shopping areas, etc. Its rooms, with wooden floors and modern furnishings are equipped with air conditioning, work desk, LCD TV with cable channels and free wireless Internet access. In the morning, guests can enjoy a delicious breakfast buffet. The hotel features a business center and offers meeting and banquet rooms. It offers 24-hour reception service.